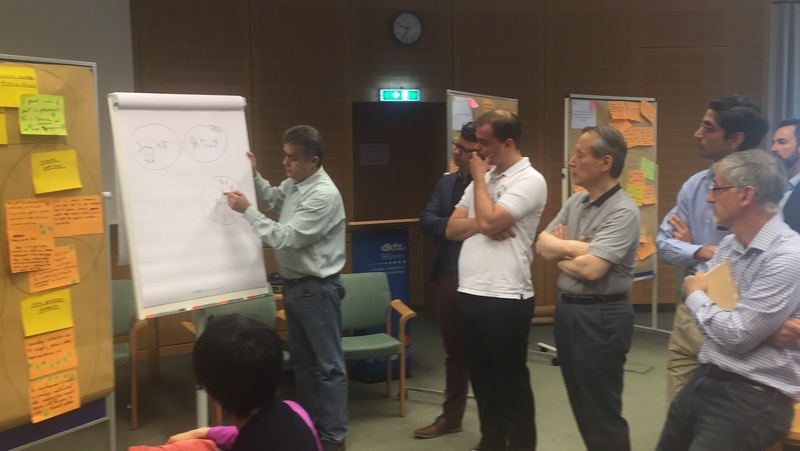 The first international workshop on surgical data science, funded by the Collaborative Research Center Cognition-guided Surgery (SFB/Transregio 125) and endorsed by the International Society for Computer Aided Surgery (ISCAS), was hosted by the German Cancer Research Center (DKFZ) in Heidelberg in June 2016. Inspired by current open space and think tank formats, it was organized in two days. Public day: The first part of the workshop, which took place on June 20th 2016, was open to the public (free registration) and announced via various mailing lists. It was attended by about 75 participants from Asia, North America, and Europe. On the workshop day, keynote lectures by leading experts in the field were complemented by short presentations of accepted workshop papers. Core component of the first workshop day were two interactive sessions that implemented the concepts of Brainwriting and World Cafés. Board meeting: On the second day of the workshop the board members of the workshop met with the goal of further processing the information gathered on the public day by (1) discussing remaining open issues, (2) deriving a joint definition for surgical data science and (3) proposing potential strategies for advancing the field. Brainwriting is a technique for gathering information, solving problems or generating ideas in a group. In contrast to brainstorming, which is typically face-to-face and serial in nature, it allows participants to bring in ideas/information in parallel and anonymously via writing. 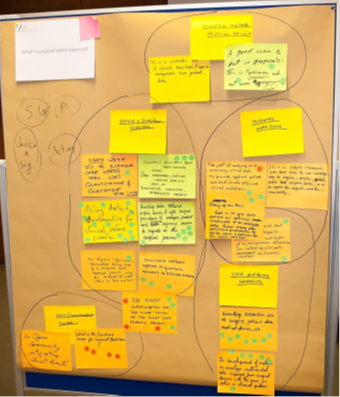 In the variant chosen for the workshop, all participants were asked to pin Post-It notes with keywords/ideas to poster walls representing dedicated questions. 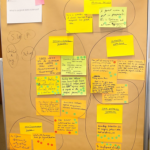 The picture shows the brainwriting poster on the question: „What is surgical data science?”. The World Café methodology is a workshop method for hosting large group dialogue. We used this method to define joint strategies for advancing the field of surgical data science. Based on the brainwriting sessions, eight questions to be discussed by the workshop participants were selected by the workshop board. We performed three twenty minute rounds of conversation. Before each round, each workshop participant chose one of the tables (and thus one dedicated topic) for discussion. The host introduced the table question and (in the second and third round) summarized the discussions of the previous rounds before moderating the new round. Board discussion while deriving a consensus definition for surgical data science.